Find out what looks the best wherever you go. 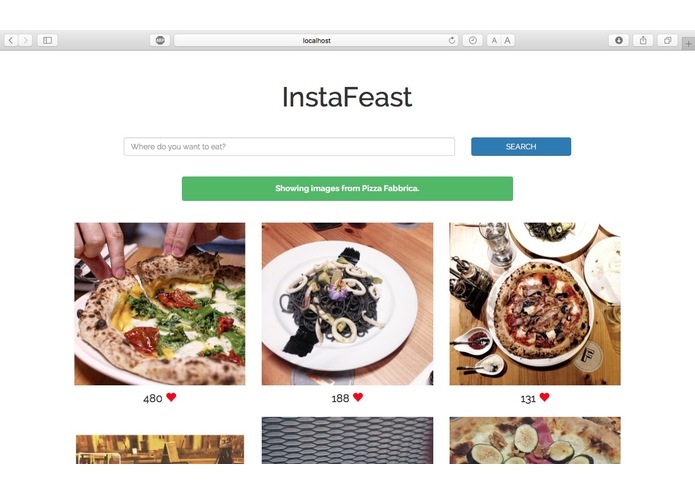 InstaFeast is a simple web app that shows you the top Instagram photos taken of food & drinks at your favourite restaurant or café. Confused about what you want to order? Or what actually looks good? Just show the waiter a photo of what you want with InstaFeast! InstaFeast allows you to select a location using the Google Maps API, which is then converted to a Facebook Graph Place, and subsequently, an Instagram Location. 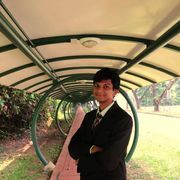 Then, by parsing the caption of the Instagram post & by using an external face detection API on the photo, the recent Instagram posts from the selected location are filtered through to scout for the top posts of food and/or drinks, which are displayed according to the number of likes the post received on Instagram. I worked on the Python code to pull the relevant Instagram posts through all the different APIs as well as the front-end of the web app. I worked on the back-end connecting all of the API's together through the Django Framework.